What do monkeys do in the jungle? They monkey around in the lagoon, of course! See how many monkeys you can land in the water to collect the most bananas. 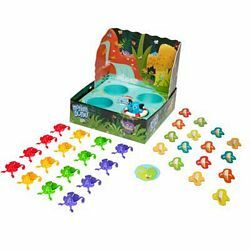 But watch where you aim because ELEFUN will pop out of the water, sending some monkeys flying out!